CRTV is a next generation conservative media company that operates parallel to mainstream media. The contents are not curated by propagandists and hence are uncensored, completely free of commercials and the subscriptions are a fraction of tariffs of cable television or direct to home satellite networks. There is a free trial for thirty days. You can choose the plan that suits your viewing preferences and needs. There are monthly and annual passes. 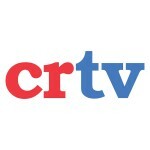 CRTV is available on popular devices. There are live and scheduled broadcasts as well as on demand content. Subscribers can also opt for month to month subscriptions without any contract. Monthly Pass starting from $10/ Month. Get Monthly Pass starting from $10/ Month.